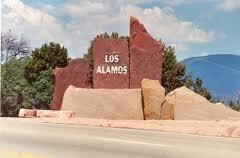 While a guest at Casa Escondida Bed & Breakfast, take The Atomic City Van Tour (in Los Alamos) with Buffalo Tours. Los Alamos is a common daytrip destination for our Casa Escondida B&B guests. Casa Escondida B&B offers Santa Fe area accommodations and is located in historic Chimayo, NM (just 35 minutes north of Santa Fe). 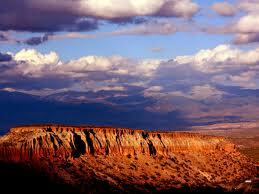 Your travel from Casa Escondida B&B to Los Alamos is a stunningly beautiful 40-minute drive. The Los Alamos National Laboratory may be the only thing to comes to mind when you think of Los Alamos but during your Atomic City Van Tour, you will also learn of the MANY discoveries were made in Los Alamos, as well as the historical, geological and cultural treasures that abound. Georgia Strickfaden is your fun and fact-filled guide. She is native to Los Alamos. 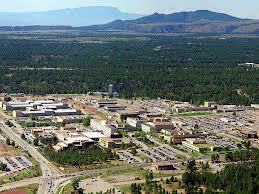 Georgia knows many of the Los Alamos secrets and she is telling all during your 1 ½ hour van tour. The Atomic City Van Tours depart on most days (March – October) at 1:30 PM from in front of the Bradbury Science Museum. The tour cost is only $15 per person (plus tax). Cash is preferred but credit cards are accepted with a service fee. Bring the kids too! Children are ½ price when accompanied by a paying adult. Perfect for your New Mexico family vacation. So when you wonder what new and wonderful things there are to do in Los Alamos, put The Atomic City Van Tour your list. 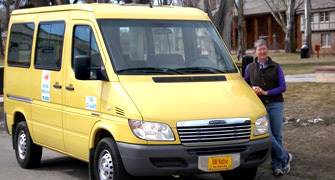 The Atomic City Van Tour is a wonderful way to experience this New Mexico vacation spot. Bandelier National Monument is close by as well. Casa Escondida Bed & Breakfast is a delightful New Mexico retreat, which has rooms available year-round. We are perfect for a romantic New Mexico getaway too. Contact Casa EscondidaB&B to check room availability or to inquire about a reservation. Casa Escondida Bed &Breakfast is a green bed & breakfast, which provides Santa Fe area pet-friendly lodging in 4 of our 8 guest rooms. Enjoy your New Mexico travels AND Casa Escondida Bed & Breakfast! We look forward to having you as our guest!